Sprocket and Dibs have a problem! Christmas is fast approaching and Santa’s Sleigh is nowhere to be found. Will Sprocket and Dibs be able to create a new sleigh in time or will Christmas be cancelled? Can you help them save the day? 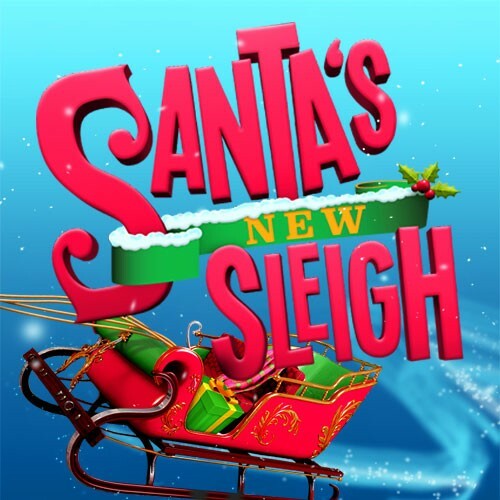 Only time will tell but with audience participation, sing-alongs and a present from Santa for every child it promises to be the perfect festive treat. You will also have the opportunity to take a photograph with Santa himself so don’t forget to bring your cameras and Smart Phones! This show is ideal for pre-school and children up to 8 years.